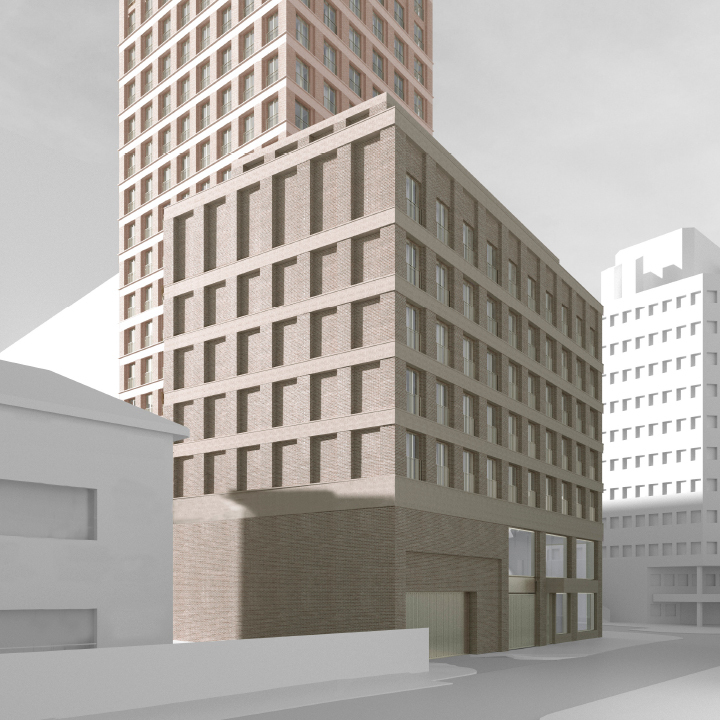 The project looked at the potential for locating two adjacent buildings on a prominent site in the heart of Brixton. 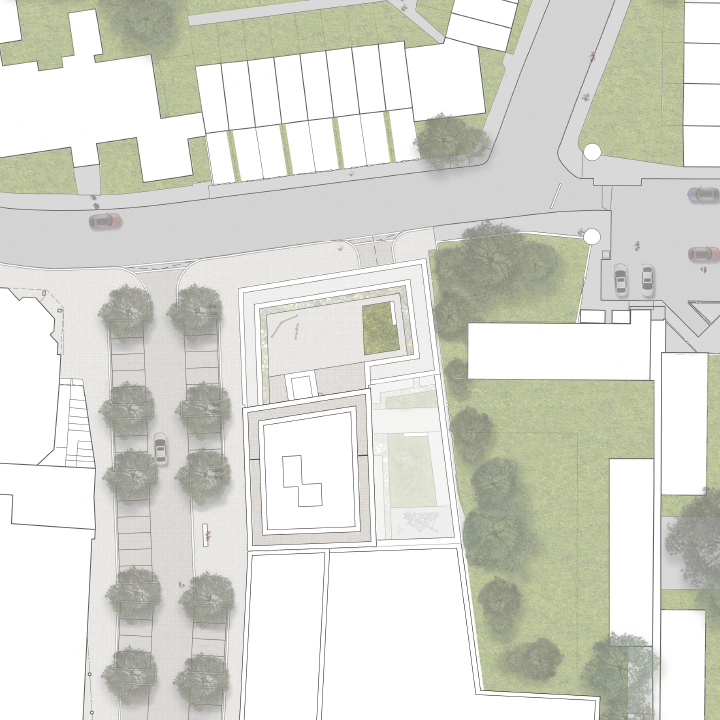 The southern and eastern boundaries of the site are in a state of transition, with a potential large scale redevelopment proposed to take place in the near future. 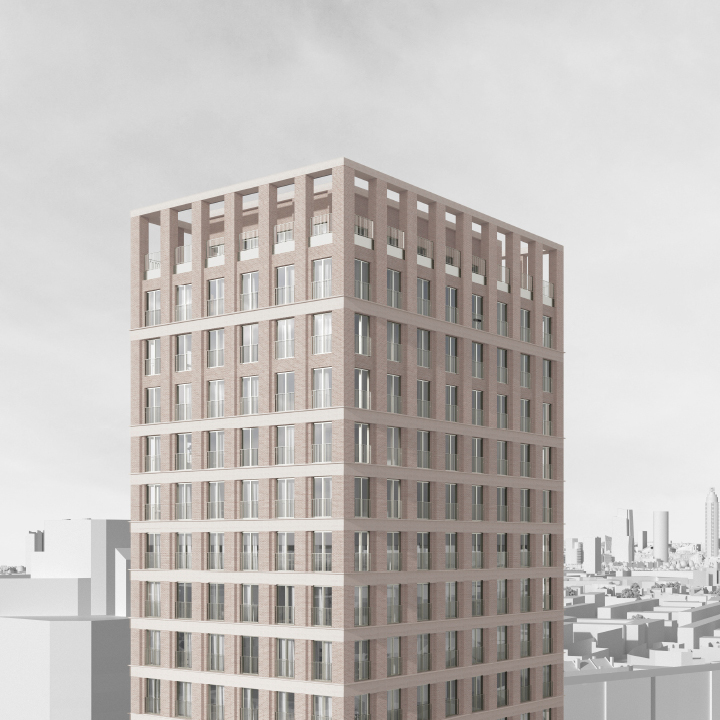 The form of the building emerged through a careful analysis and understanding of the site constraints and its important role as a point of transition between the lower scale of the Conservation Area to the north and the potential taller scale redevelopment of the sites to the south. Brixton is rich in architectural detail and has a strong Victorian heritage and diverse contemporary energy which provide an inspiring setting and reference point for the creation of new architecture. 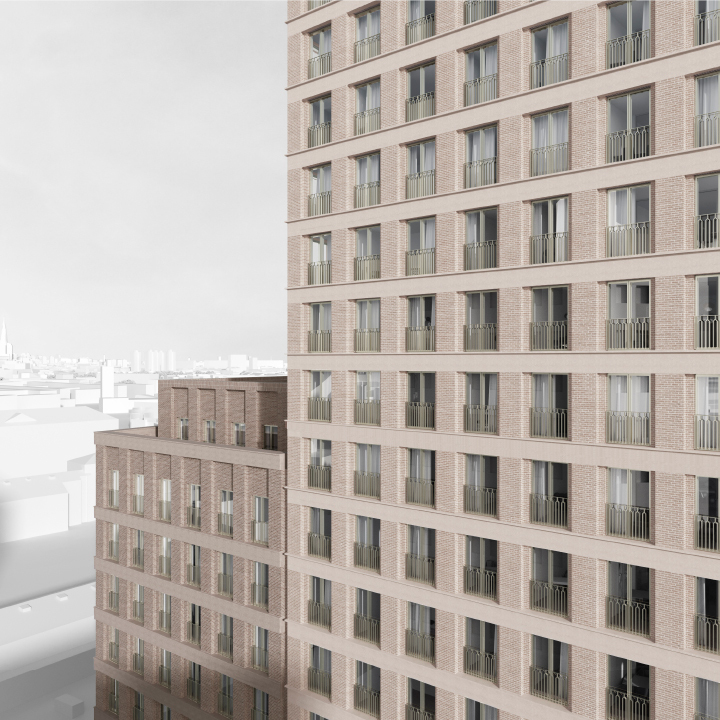 Craft in the use of brick, stone and ceramics and care in the expression of windows, doors, rooflines and corners have been used as reference points for detail, materiality and architectural aspiration of our scheme. 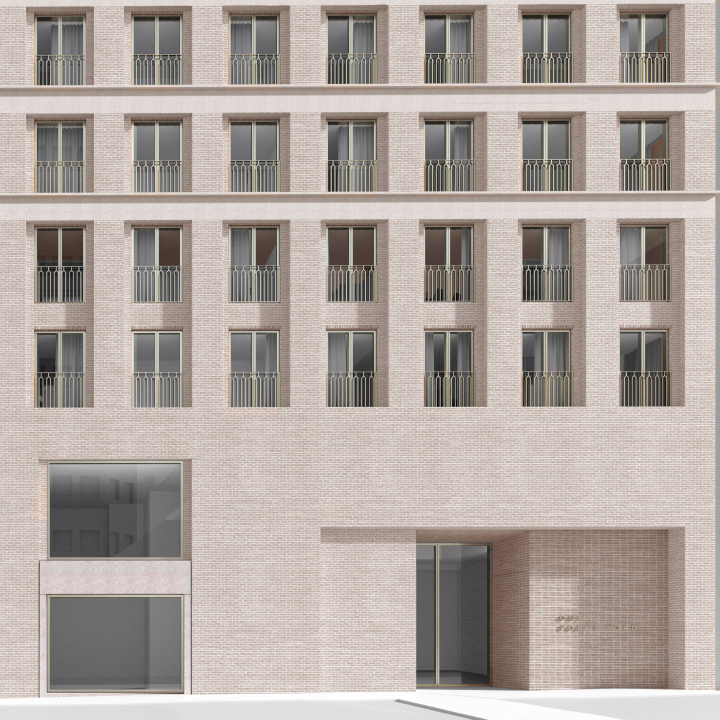 Whilst the buildings share an architectural language, differences are expressed through crown, ordering, tone, materiality and detail whilst across both buildings entrances are differentiated from shopfront through their more monolithic expression in an abstraction of the Victorian Vernacular. 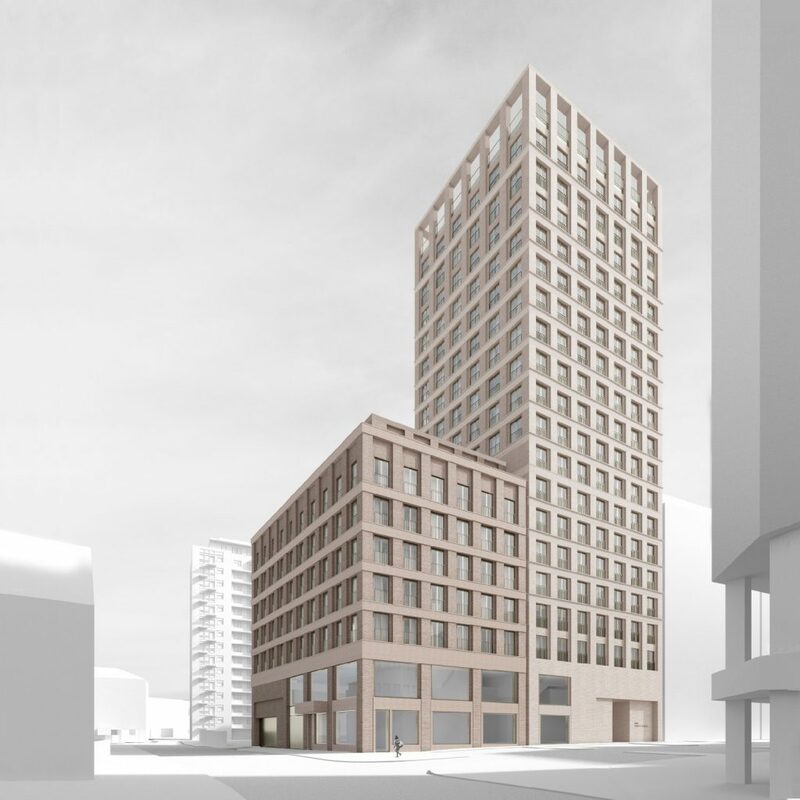 Two shades of brick and pre-cast concrete bands reflect the predominant terracotta tones of the neighbouring period and twentieth century buildings, with desaturation to ensure a less overbearing presence in the streetscape.